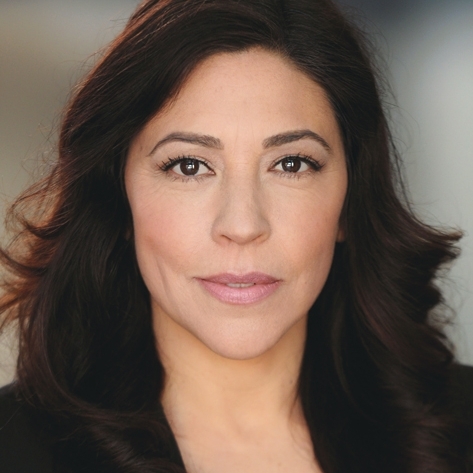 Tina D’Elia, a mixed-race Latina lesbian/queer identified feminist artist and professional Actor (SAG- AFTRA), Casting Director, Screenwriter, Solo Performer, Acting Teacher, Public Speaking Trainer, and Performance Coach. Tina was honored to receive the Executive Producer and Trail Blazer Awards from the Equality International Film Festival (2015) for the diverse and authentic content in her work, the prominent roles of women of color/queer/trans characters in her stories, and her diverse casting work with communities of color and LGBTQ communities. Tina D'Elia is known for her Latina Lesbian - Groucho Marx solo show, Groucho: A Day in the D’Elia Soup (2002) and her award winning solo show: The Rita Hayworth of this Generation, which garnered Best of Fringe and Best of Sold Out Shows (San Francisco Fringe Festival, 2015). Lucha, a short film that she co-wrote with the award-winning film director, Maria Breaux, won The Audience Award at Frameline (2009) and was nominated for the prestigious Iris Prize (UK). Tina’s film/television credits include: The Pursuit of Happyness, Knife Fight, Don't Shoot I'm the Guitar Man, Junkie, Sense8 on Netflix, Trauma on NBC TV, Dyke Central (web series), and Possession: A Game of Inches (web series). Tina D'Elia's original solo performance, The Rita Hayworth of This Generation awarded Best of Fringe & Best of Sold Out Shows from the San Francisco Fringe Festival, 2015. Tina D'Elia nominated for the CURVE Power list 2017. Learn more at CURVE Magazine. Tina D'Elia receives Executive Producer Award & Trailblazer Award from the Equality International Film Festival. Audience Award LGBT Frameline Film Festival (2009) and nominated for The Iris Prize, UK (2009), Lucha, Short Narrative Film.